TRAI has also indicated that from 1 January, 2020 onwards the termination charge for all types of domestic calls shall be zero. The Indian telecom regulator on Tuesday came out with a regulation where it has more than halved the call termination charges from mobile to mobile to 6 paise per minute effective from 1 October, 2017. "For mobile to mobile, termination charge has been reduced from 14 paise per minute to 6 paise per minute with effect from 1 October, 2017," the Telecom Regulatory Authority of India (TRAI) said in a statement. It said: "Such a revision in the mobile termination charge is in line with the international trends." Domestic termination charges are the charges payable by a telecom service provider (TSP) whose subscriber originates the call, to the TSP in whose network the call terminates. It further added: "From 1 January, 2020 onwards the termination charge for all types of domestic calls shall be zero." It said for other types of calls (such as wire-line to mobile, wire-line to wire-line and wire-line to mobile) the termination charge would continue to remain zero. The TRAI said: "Further, the cost of termination of calls will drastically come down over a period of two years and very small residual value, if any, can be absorbed by the TSPs in their tariff offerings. As a result, the Authority prescribes a Bill and Keep regime for the wireless to wireless calls effective from the 1 January, 2020." The prevailing Interconnection Usage Charges (IUC) Regulation was notified on 23 February, 2015 and came into effect from 1 March, 2015. This regulation of TRAI will give a big jolt to the incumbent TSPs like Bharti Airtel, Vodafone India and Idea Cellular who said a lesser IUC regime will be detrimental for the industry. However, new entrant in the industry Reliance Jio has always demanded zero termination charges. Earlier Vodafone Group CEO Vittorio Colao had urged the Indian government not to reduce mobile termination charges (MTC) further. In a letter dated 22 August, Colao said: "On mobile termination charges, we are seriously alarmed to see reports that the Regulator is considering a reduction in MTC at a time when the industry is facing such immense hardships. Any reduction in MTC risks large scale site shut-down of already unprofitable sites in rural India and which would greatly diminish the population coverage of mobile telephony." Interconnection allows subscribers, services and networks of one service provider to be accessed by subscribers, services and networks of the other service providers. If networks are efficiently interconnected, subscribers of one network are able to seamlessly communicate with those of another network or access the services offered by other networks. 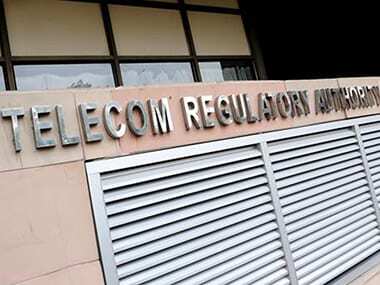 The TRAI said it would keep a close watch on the developments in the sector particularly with respect to the adoption of new technologies and their impact on termination costs. 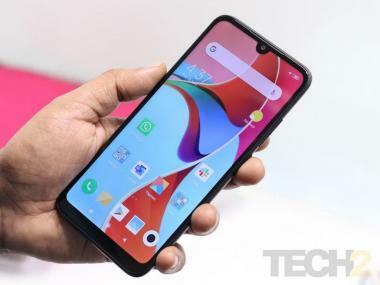 "The Authority, if it deems it necessary, may revisit the aforementioned scheme for termination charge applicable on wireless to wires calls after one year from the date of implementation of the regulation"," it added. Disclaimer: Reliance Industries Ltd. is the sole beneficiary of Independent Media Trust which controls Network18 Media & Investments Ltd.